Transmission of the information in the McCaffrey Firm web site is not intended to create, and receipt does not constitute, an attorney-client relationship. Newsletter recipients and online readers should not rely upon the transmission of an e-mail message to the McCaffrey Firm through this web site to create an attorney-client relationship. Internet subscribers and online readers should not act upon any information in this web site without first consulting legal counsel of their own directly. The hiring of a lawyer is an important decision that should not be based solely upon advertisements. The information in this web site is not provided in the course of an attorney-client relationship and is not intended to constitute legal advice or to substitute for obtaining legal advice from an attorney licensed in the appropriate jurisdiction. Although we take pride in this site, please note that the information posted on it is for general information purposes only and, at times, may be incomplete, out of date or inaccurate. It does not claim to be comprehensive or provide legal or other advice. Articles and other publications on this site are current as of their date of publication and do not necessarily reflect the present law or regulations. For these reasons, we do not intend the information on or downloaded from this site to supplement or be a substitute for the expertise and judgment of your independent legal advisor. Any reliance on this information is solely at your own risk. Accordingly, to the fullest extent permitted by applicable law, we exclude any liability or responsibility for any loss which may arise from reliance upon information appearing on this site or arising from access to or use of information posted on or downloaded from this site. This Site may include links to other Internet sites that are beyond the control of the McCaffrey Firm. The McCaffrey Firm is not responsible for the content of any such sites, makes no representations regarding any such sites, cannot guarantee their practices regarding data privacy, and does not necessarily endorse or approve of the information, material, products or services contained on or accessible through any such sites. You acknowledge and agree that your linking to other sites, your use of such sites, and your use of any information, material, products and services offered by such sites, are solely at your own risk. All materials contained on this Site, including text, images, logos and or other material (collectively “Content”), and all intellectual property rights thereto, including copyrights, trademarks, service marks, trade names and trade dress, are owned by the McCaffrey Firm or its affiliates. You agree not to copy, reproduce, republish, transmit, modify or distribute any of the Content contained on the Site, except for your personal, noncommercial use, absent the prior written approval of the McCaffrey Firm. These rights are valid and protected in all forms, media, and technologies existing now or hereafter developed. Commentaries presented on this Web site are summaries for general information and discussion only and may be considered an advertisement for certain purposes. They are not full analyses of the matters presented, may not be relied upon as legal advice, and do not purport to represent the views of our clients or the Firm. The views expressed in these newsletters are the views of the authors only except as otherwise noted. We are required to identify clients for the purpose of applicable anti-money laundering legislation. This means that when we first receive instructions from a client, we are required to identify both our client and (if applicable) the client’s beneficial owner(s) and to verify those identities. We may therefore ask you to provide us with appropriate evidence of identity or other information, which we will retain. If satisfactory evidence or information is not provided within a reasonable time of our request we may have to stop acting for you. For purposes of various rules of professional conduct, this site may be considered attorney advertising. 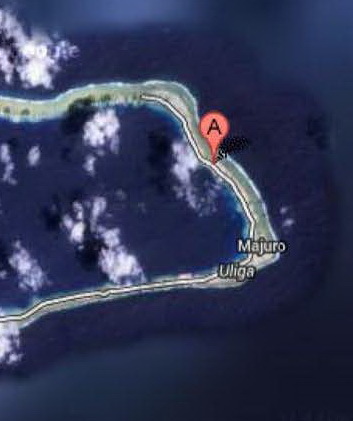 We designate, to the extent that any jurisdiction requires designation, our Majuro Office as our principal office. Any disputes concerning this Web site and the information in or use of it shall be governed by the law of the Republic of the Marshall Islands (without regard to conflicts of law principles), and any proceeding which may arise out of or in connection with this Web site shall be brought solely in a court in Majuro, Marshall Islands. The projection of the World centered on the Marshall Islands is a Service Mark of the The McCaffrey Firm Ltd. and has been used in commerce since April 2012.